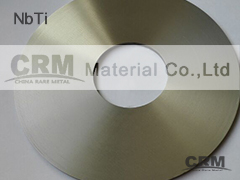 CRM material co.,limited (CRM) is an experter in manufacture sputtering targets. CRM can offers a full line of sputtering targets with various components from industrial grade to super high purity. Mostly targets are manufacture by programs. Also CRM can manufacturetargets that are less and rarefrequently used compositions. Also CRM can offer some addition server includesubstrade, bonding, backing plate. CRM material co.,limited insisted on improving our fabrication techniques for supply more values and better products. Sputtering targets customization: CRM material co.,limited is specialized in making various sputtering targets. We have many raw material compounds lines, such as semiconductor line, chemical compounds line, metallurgy line, powder milling line, etc. Moreover, we introduced many advanced technology and equipments from related companies at home and aborad. We also have an experienced research team who have developed many new and special sputtering targets, and also successfully made many trial orders and received many customers satisfaction and long-term friendship. CRM have lots of fabrication methods, and we will select the best ways to manufacture products base on raw materials speciafication. Some available methods show as below: Vacuum Induction Melting (VIM), Vacuum induced levitation melting furnace Vacuum Sintering, Vacuum Melting Casting, Vacuum Arc Melting, Hot Pressing (HP), Hot Isostatic Pressing (HIP), Cold Isostatic Pressing(CIP), cold pressing and sinter, FZ, CZ, CVD...... Now our plasma spray technique is studying and improving, we will can offer some samples. Backing Plates and Bonding Service: Backing plates include OFHC copper, Aluminum, Titanium, Stainless steel or Molybdenum. The dimension will base on your drawing and you design. Sputtering Targets Shape and Size: Discs, Rectangle, Step, Plates, Sheets, Tube, Foils, Rods, Taper, Ring, S-Guns, Custom-Made. Semiconductor Correlative targets / Thin film of electrode and wire layout : aluminium target, copper target,gold target,silver?target, palladium target, platinum target,alumium silicom target,aluminium silicom copper alloy target and so on. Thin film of conglutinate: Tungsten target, titanium targets and so on. Thin insulating film:PbTiZrO3 targets and so on.